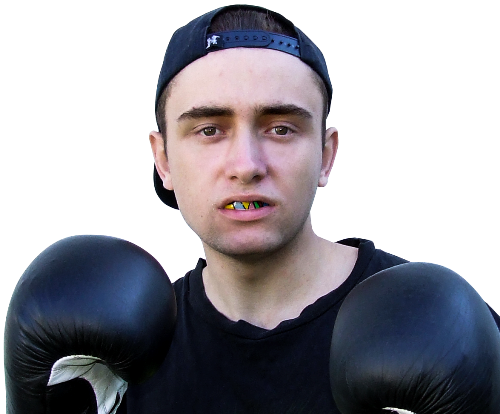 [ BREAKING NEWS ] We Are Top 10 Best Sports Mouth Guards in 2019 (See Below). What's In Your Mouth? Buy Now! 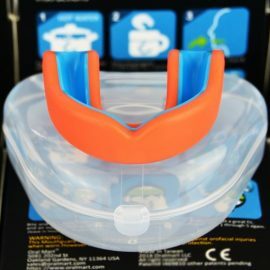 10 Best Mouthguards for 2019: Buying Guide for Sports Athletes "1) The Oral Mart Kids Football Mouthguard is the perfect choice for growing kids playing any number of sports. 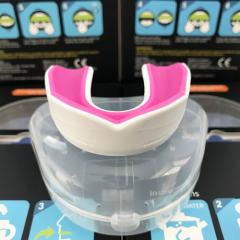 The mouthguard is affordable, comes in several colors, and offers excellent protection and fit that will go a long way in protecting a kids mouth and teeth during a wide range of sports. 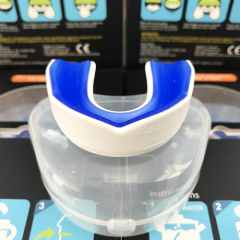 2) Oral Mart Guards are a worthy choice for anyone looking to prevent teeth grinding at night and you’re into heavy contact sport games." Over the years, Oral Mart has been producing various designs and types of Oral Mouth Guards for different recreational, team, and combat-based sports. 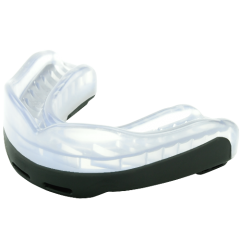 With our premium Mouth Guards, we have been able to prevent and minimize the damages that our clients would have sustained in their various sports. 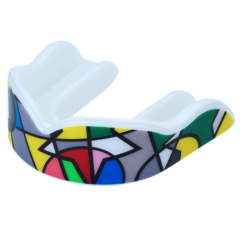 We deal in a wide range of mouth guards. Our guards are customized to fit all dental arrangements, giving people the comfort they desire. 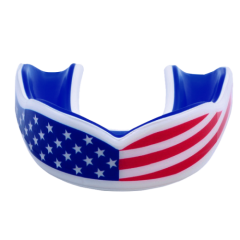 We give protection to one of the vital organs, the mouth, priority, and we have a massive collection of mouth guards for football, basketball, boxing, MMA, Ice Hockey, and Battle. 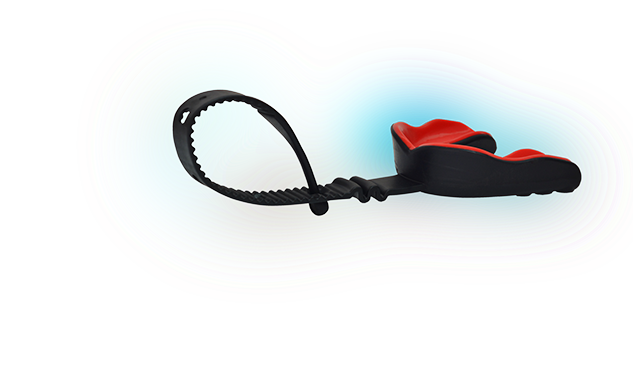 Our mouth guards pass all safety tests, and they have been subjected to a rigorous testing to ensure that we continue to supply quality guards to our clients. 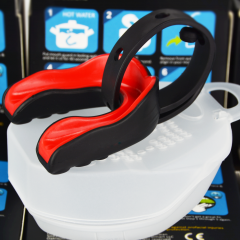 Any mouth guard you decide to buy from us is 100% safe to use and BPA free. And they come with 100% no question asked money back guarantee. 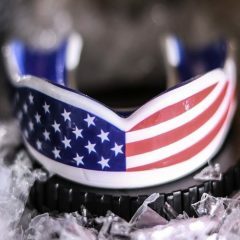 We have created this platform to make it extremely easy for you to get your premium mouth guards. 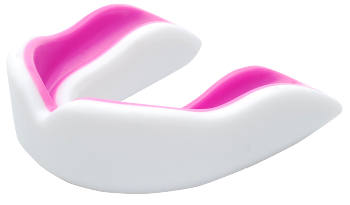 We have also eliminated the “middlemen” and their exorbitant charges, giving you an opportunity to own a premium mouth guard at a giveaway price. Our clients are our priority. That is why we have a team of professionals set aside to attend to your complaint and inquiries promptly. 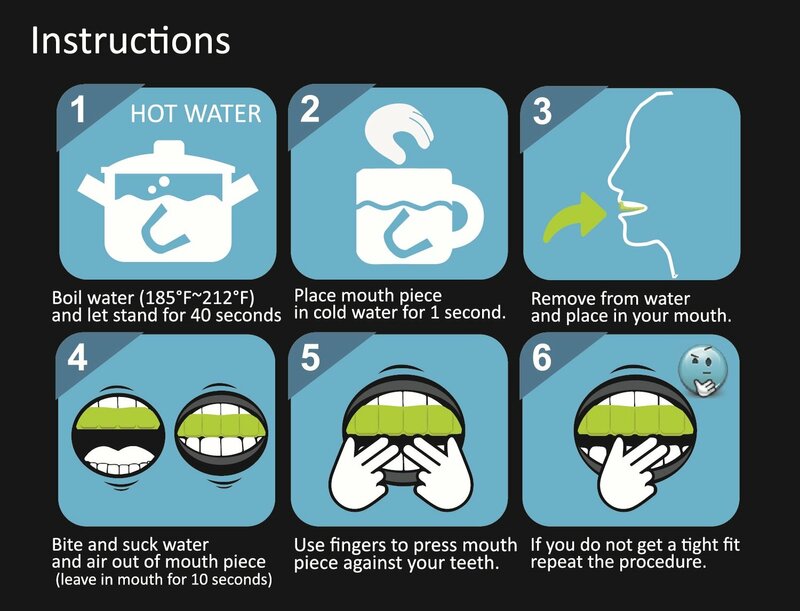 Please contact us for a comprehensive step by step instruction on how you can mold the mouth guard or visit our YouTube channel. 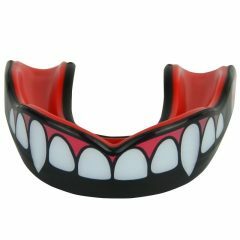 Why Wearing a Protective Sports Mouth Guard Is Important? Protection is something which is very necessary in each and every aspect of life, especially in sports and such activities where there is a greater risk of getting injured. This can be true for various types of activities where the level of security and safety might vary from wrestling to simple cycling. Thus wearing protective sports gear especially mouth guards is very important for these athletes. 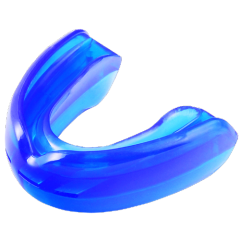 There are a number of ways in which these mouth guards can protect you and save you from a lot of problems later. Thus, the following reasons explain the sheer importance of wearing a protective mouth guard while indulging in different sports activities. It is recommended by Colgate and identified by many dentists and physicians to be very beneficial for health safety reasons. This is why the importance of wearing a protective mouth guard is increased even more. It protects the teeth from getting damaged while the gums are also protected from damage and wear and tear besides protection of cheeks, mouth, tongue, and jaw, etc. 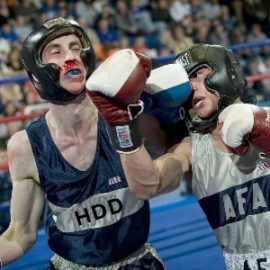 The American Dental Association has identified one thirds of dental injuries to be sports related. Thus, one should know that this safety is important. The cost of a mouth guard is almost nothing in comparison to the amount of money and time that is spent over getting your mouth and teeth healthy again if an injury occurs in the case of non-usage of a mouth guard during play. 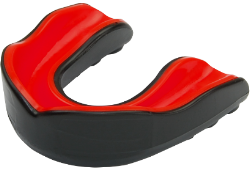 Any injury can be protected with the help of mouth guards which is why wearing a mouth guard is truly very beneficial. 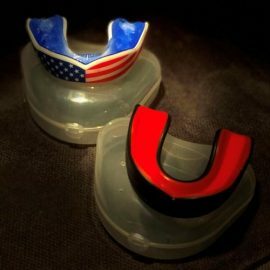 Statistics have shown that mouth guards have prevented more than 20,000 oral injuries during different types of sports on average in the previous year. Thus, the results bring out a very big reason to wear mouth guards during games. 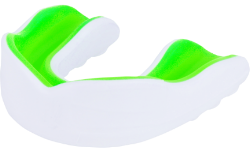 Even if you feel that you are lesser prone to injury in your kind of sport but you should know that a protective sports mouth guard helps to have sheer protection of your jaw. Thus, it keeps the formation of your jaw very strong and well defined. 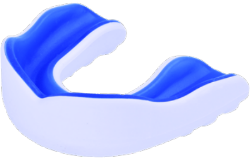 The jaw is not only protected but it is also prevented from becoming weak due to many types of injuries an exposure that it goes through during play. 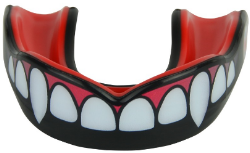 If you are not comfortable while wearing a standard protective mouth guard, that is no problem too. This is because there are three types of mouth guards. The first is the most common one that is available in different stores. The second type is a professional branded protective one while the third and most protective one is the one made just according to your jaw by your dentist. Thus, the variety brings about ease and comfort which is one more reason to add to wearing protective mouth guards during sports activities. 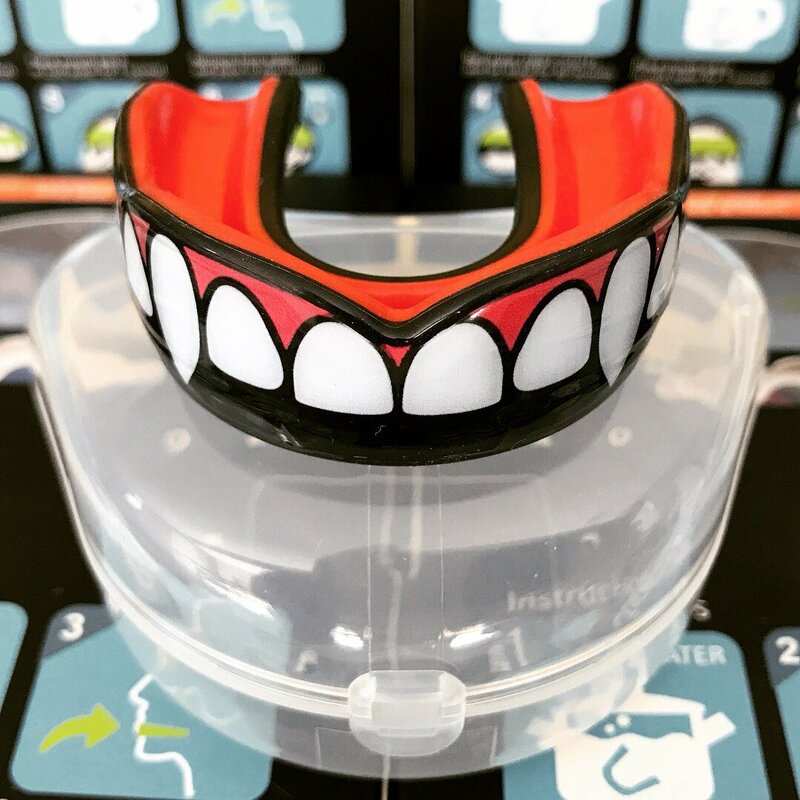 Now that you know the sheer importance, reasons and benefits, that tell you why you should wear a mouth guard, make sure you get yourself one to stay protective and enjoy your sport without any worries at all. Why Oral Mart™ Premium Sports Mouth Gurads? It's been estimated that nearly four million sports- and recreation-related concussions occur in the United States each year. Because of the long-term issues that have been linked to the injury, including the increased diagnoses of Chronic traumatic encephalopathy (CTE) among athletes at various levels, the spotlight around the causes and prevention of concussions has become one of the most important focuses of our sports-loving society as a whole. 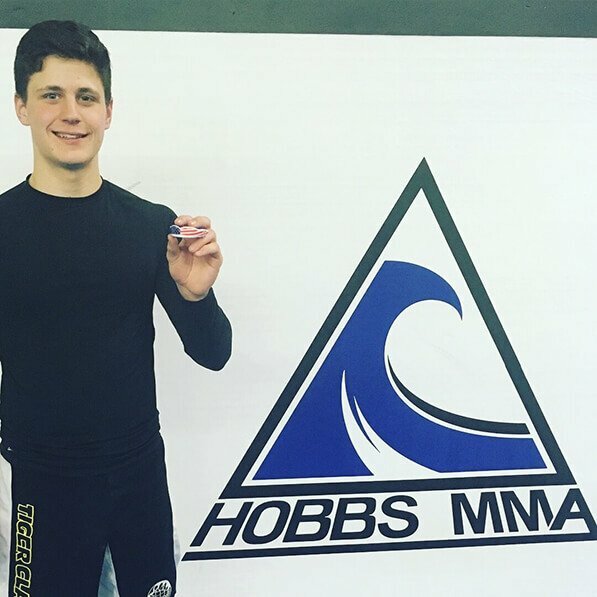 While we usually associate the injury with sports that involve violent contact between one participant another, that's a narrow way of understanding how the injury takes place, and how it can be prevented. More often that not, concussions are caused by one player making unforeseen contact with another, the result of faulty equipment being worn, or by making violent impact with the ground (or some combination of all of those). So the question has become: what can we do, as a society, to prevent the preponderance of concussions, without totally ruining the sports and activities which we want our youth to participate in? Obviously, the primary responsibility falls upon teaching and reinforcing both the rules of each game, creating new rules which can help with injury prevention, and ensuring that players demonstrate proper sportsmanship when participating. But at the end of the day, the game will still be played. Therefore, one of the most important things we can do is ensure that the right protective equipment is being worn by participants, and that said equipment is fitted, worn, and maintained correctly and consistently. 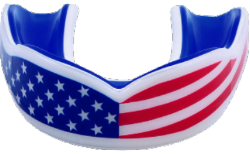 For example, the Academy of General Dentistry published a study indicating that high school football players wearing store-bought, over-the-counter mouth guards were more than twice as likely to suffer mild traumatic brain injuries/concussions than those wearing custom-made, properly fitted mouth guards. 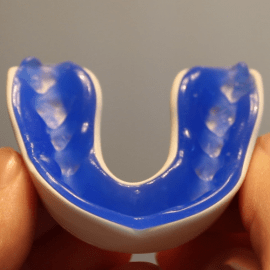 Specifically, the study showed that an athlete wearing a custom-made mouth guard is more than 50% less likely to suffer a brain injury, versus those wearing a standard over-the-counter mouth guard. 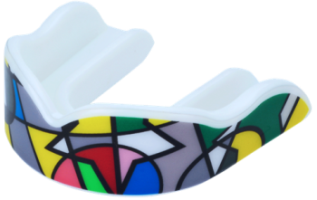 The benefits of custom fitted mouth guards are that they're better able to mitigate the trauma to an athlete's head, sustained by any type of violent impact, because of the shock absorption in the cushioning of the mouthpiece that's properly fitted to that athlete's mouth. 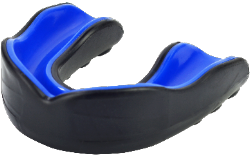 Further, in those instances where an athlete still does sustain some level of head trauma even while wearing a mouth guard, wearing said mouth guard can significantly reduce the severity of the symptoms from the injury, especially in comparison to those who either did not wear one, or wore an ill-fitting guard. OralMart.com proudly represents one of the premier online retailers of mouth guards that are customized for each individual's usage. 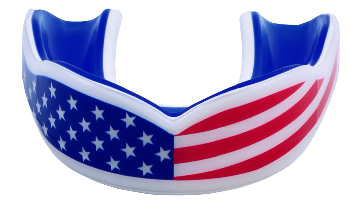 Our mouth guards are perfect for any athlete choosing to participate in recreational sports, team sports, or combat-based sports. While injuries are an inherent part of each one of these activities, what you can do to better prevent any of those injuries, or mitigate the severity of those, is something that we're proud to assist with.